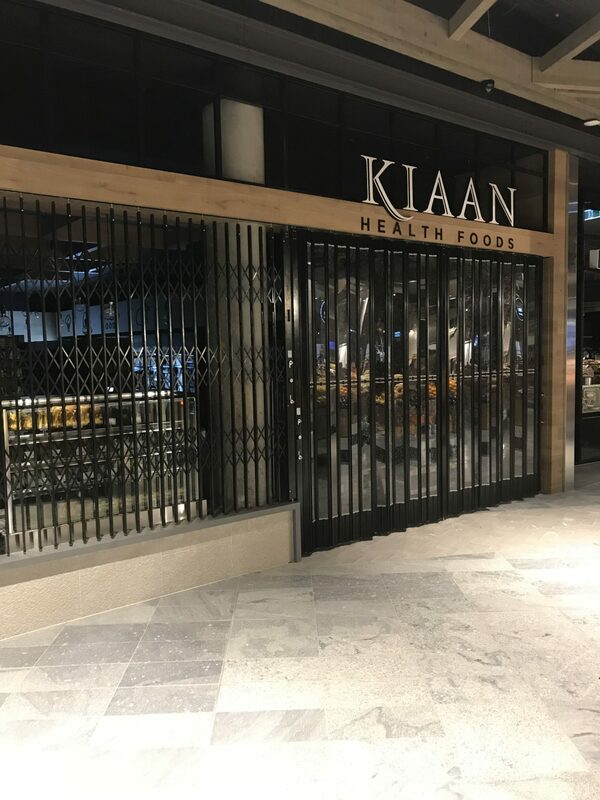 The Australian Trellis Door Company (ATDC) had a significant share of the work supplying and installing a wide variety of its range of shopfront closures at the recently opened redevelopment to Westfield Coomera near QLD’s Gold Coast. Westfield Coomera is a $470m development and is Scentre Group’s first Greenfield development.It is a joint venture with QICGRE.The project spans in excess of 59 000 square metres and will offer 140 specialty retails stores once completed. ATDC’s shopfront closures were specified across many of the specialty stores throughout the shopping centre by the Westfield Design team and ATDC will individually feature some of these unique projects in a series of news releases over the upcoming weeks. Some examples of the different types of doors installed on these specialty retail shopfronts included ATDC’S FC1 Folding Closures,S08 curved trellis Doors,S06 straight line trellis doors,S04-1 trackless barriers as well as the S07-2 side-by-side space minimizing closures. Pictured is a photograph of an installation at Elite Supplements.The Project Architect was Kevin Snell Architects and the project manager for the job was Jeff Graham. An assortment of photographs of different ATDC retail closure installations at Coomera is also shown. For further information on ATDC’s full range of shopfront closure doors see their website at https://www.trellisdoors.com.au/products/commercial-security or contact ATDC toll free from ajnywhere in Australia on 1800657435.